5 images. 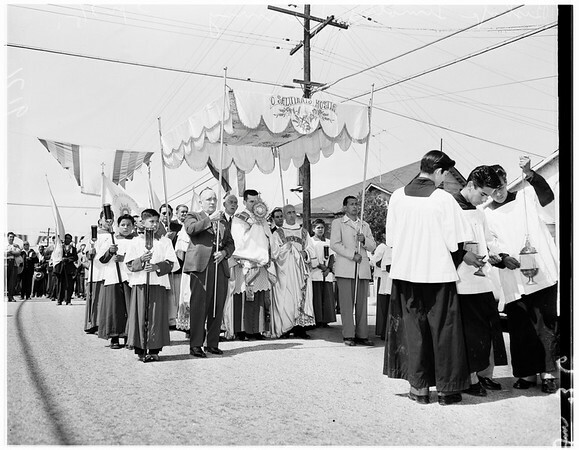 Corpus Christi processional, May 27, 1951. Bishop Timothy Manning (carrying blessed sacrament).